Please note: both weekends will consist of the same content. Please register for whichever weekend works best for your parish. youth! Questions? Call the Bishop Hammes Center at 715-234-5044. Be prepared to become a witness for Christ through a deepening of your relationship with him in Mass, Prayer and Reconciliation, talks, small groups, activities and authentic Catholic fellowship. High School Discipleship (HSD) Weekends are a place for high school youth to gain knowledge to live out their faith as leaders or disciples builders. 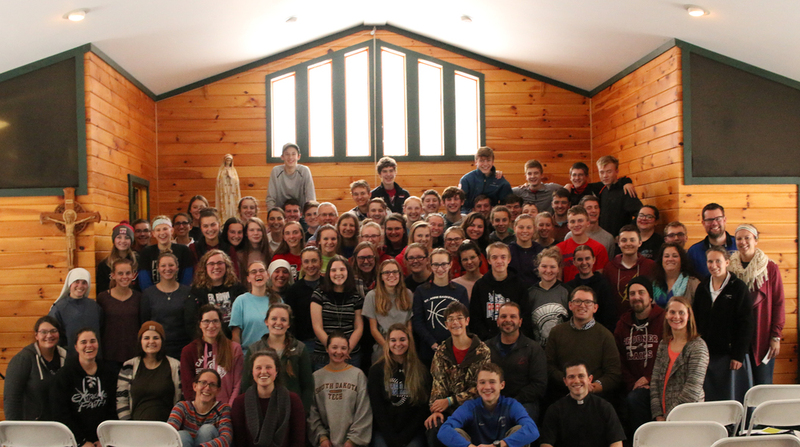 If your Catholic faith excites you and you want to share the power of God with others or want to go deeper in your personal faith, HSD is for you! Unlike other diocesan youth programs, this one is designed specifically for teens who are considered leaders by their pastors and youth ministers.